In this page the newbies will find everything to start and continue their journey of using cloth diapers. PUL - PUL stands for polyurethane laminate.It is a compound fabric made by laminating a cloth fabric to a thin film of polyurethane. PUL is the waterproof material used to make outer shells of of diapers and diaper covers. Minky -Minkee - A synthetic material that is super soft like velvet to make outer shells of diapers. A diaper that fits most babies from birth through potty training. A one-size diaper can be adjusted to fit different shapes and sizes of babies from 3 to 15 kgs. To adjust most one-size diapers use snaps to fit your growing baby at any size. Crossover Snaps – These snaps are located on the waist of the diaper. You will notice that there are extra snaps that may be empty after the diaper is closed. These snaps allow for a tighter fit for a skinnier baby. Essentially the flaps overlap to snap into these snaps and hence the name crossover snaps. Hip Snaps – Hip snaps are also as they sound, a snap that is located near your baby’s hip. These snaps are usually the furthest back and help to prevent wing droop. Hip snaps are usually the most helpful when the diaper is on the smallest setting and there is more tabs or ends free. 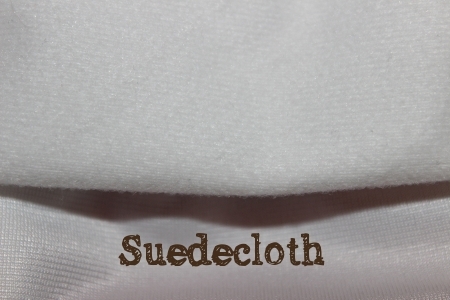 Suedecloth: finely woven together than microfiber and microfleece allowing for less stains. The suedecloth does not pill like microfleece and allows baby to feel dry. It has a thinner feel to it and washes very well. Microfleece – Is a soft synthetic material made from polyester. Microfleece is also water-repellent to help keep your baby feeling dry. Many pocket diapers are lined with microfleece. Charcoal Bamboo: Bamboo Charcoal is hypoallergenic, anti-bacterial, and naturally deodorizing..Plus, the darker color helps keep the diaper stains from being noticeable. Bamboo – Bamboo is a very eco-friendly fabric and its fiber is super soft and very absorbent. It is naturally antibacterial and won’t hold odors and has a very silky and luxurious feel. Fitted diapers are very absorbent because the whole diaper is made out of material that can soak up wetness. For this reason, many use fitteds as their go-to night time cloth diaper. Fitted diapers are a good choice for little ones with sensitive skin. Fitted diapers can contain all natural fibers. 5 . Hybrid : A diapering system that can be used like a cloth diaper or as a disposable diaper. A hybrid diaper consists of a waterproof shell or cover that can be reused and washed with either a cloth insert or disposable insert. Microfiber is a synthetic material. It is great for absorbing liquids quickly. . You should never put microfiber directly against your baby's skin. Because it absorbs so well, the microfiber will absorb all the moisture and can cause a nasty rash. Always be sure to have a layer of fabric between skin and microfiber. It is one of the cheapest insert options for diapers. It dries very quickly in the dryer. Hemp is a very eco-friendly fabric and the most absorbing fibre. Hemp fibers are longer, stronger and more absorbent and more mildew resistant than cotton. It has inherent antifungal and antibacterial properties. Most hemp fabric is 55% hemp and 45% cotton and the hemp/cotton combination makes the fabric stronger and durable.